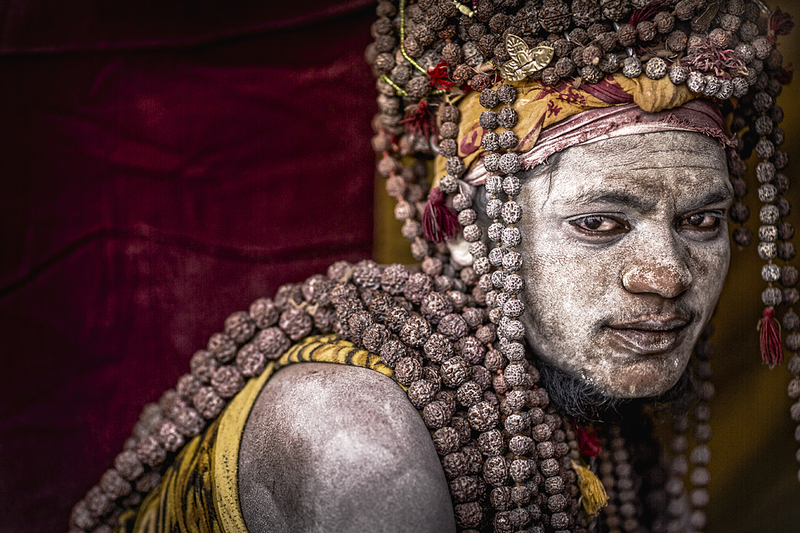 India is an incredible land sheltering wonderfully blended religions, cultures and traditions. The grandeur of these cultures comes alive with the fairs and festivals, based upon rituals, traditions, legends and history. Hemis Festival of Ladakh is one such festival which offers a vibrant display of ancient mountain culture. The Festival rains as a colourful downpour in the barren and deserted land of Ladakh. Hemis Festival significantly represents the analogy of Ladakh Culture. So, apart from the splendid landscapes, brown austere hills and bright yellow mustard fields, Hemis Festival is another reason as to why you should travel to this dramatic jewel of India, Ladakh. Fairs and Festivals offer the best insight to the people and culture of a region. Similarly, the Hemis Festival portrays the lives and beliefs of the people of Ladakh. It will probably be the grandest birthday celebration one will ever come across. This 2 day festival celebrates Guru Padmasambhava’s birth anniversary, who was the founder of Vajrayana Buddhism in Ladakh. 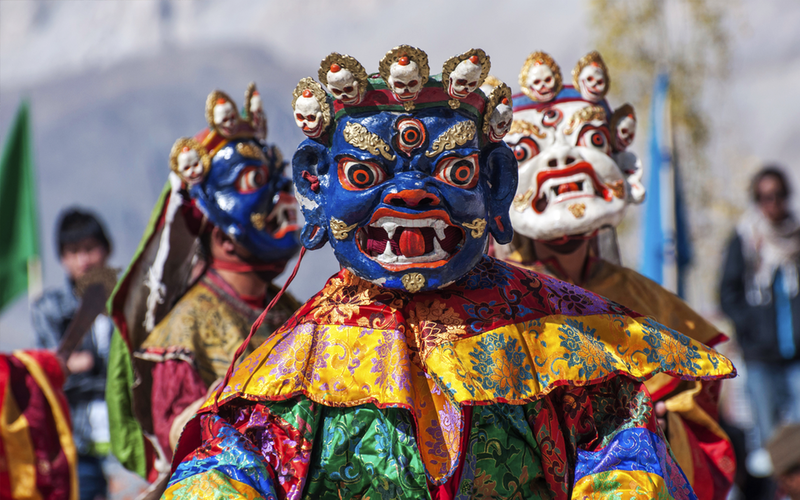 Hemis Festival in Ladakh marks the victory of good over evil. 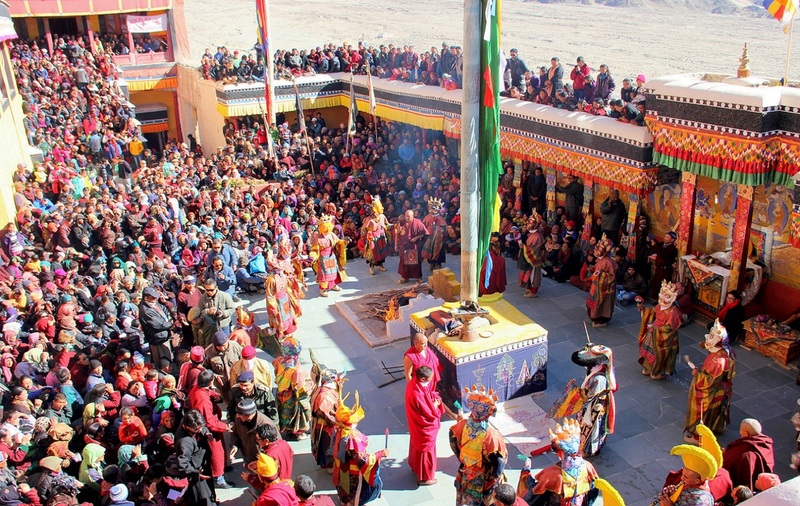 After the unbearable winter chills, the festival comes as a welcome respite, as the Hemis Monastery opens its doors to the festivities. The Monastery along with holding a sacred status is also the largest of its kind in Ladakh. The date of the festival changes every year, and is celebrated on the tenth day of the Lunar Calendar of the Tibetan Month. This year, the grand festival will be celebrated on the 23rd and 24th of June. Blowing of two 3 meters long brass trumpets signals the beginning of the Festival. The Head Lama then brings out the portrait of Guru Padmasambhava into the courtyard. 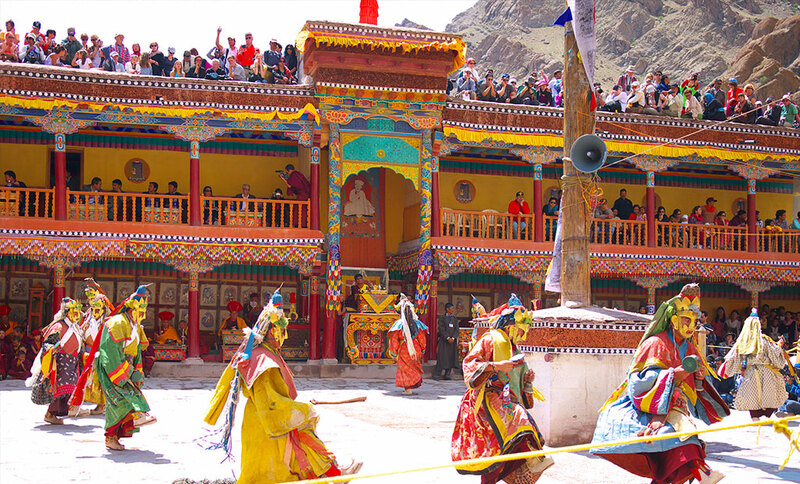 The major attraction of this colourful festival is the Chham dances, performed by the Lamas of the monastery. The costumed dance drama narrates the tale of the achievements of Guru Padmasambhava. Wearing masks that depict the various guardian divinities of the Dugpa order of Buddhism, the robes and aprons are intricately made of colourful brocades. The music starts on a slow note and immediately picks up the pace as the narration gets intense. As the music goes in perfect sync with the narration, it builds up to a hair raising climax when the leader of the Black Hat dance smacks down the devils’ idols in combat victory. However, since the narration is in their local language, you might miss the entire story if you aren’t familiar with the theme of good fighting the evil spirits. Ladakh is flocked with tourists at this time of the year, who travel all the way to just get a glimpse of this massively popular festival. This vibrant day-long fiesta adds all the more thrill & excitement for the travellers visiting Ladakh. Since, the festival is highly commercialized it attracts media from across the globe. Another major puller among the tourists is the unique handicrafts that are sold in a hefty amount at the monastery. Antique objects and artifacts like Buddhist idols, Tibetan gems and jewelry and hand woven dresses are some of the prime attractions of the numerous shopping stalls, temporarily set only during the festival. 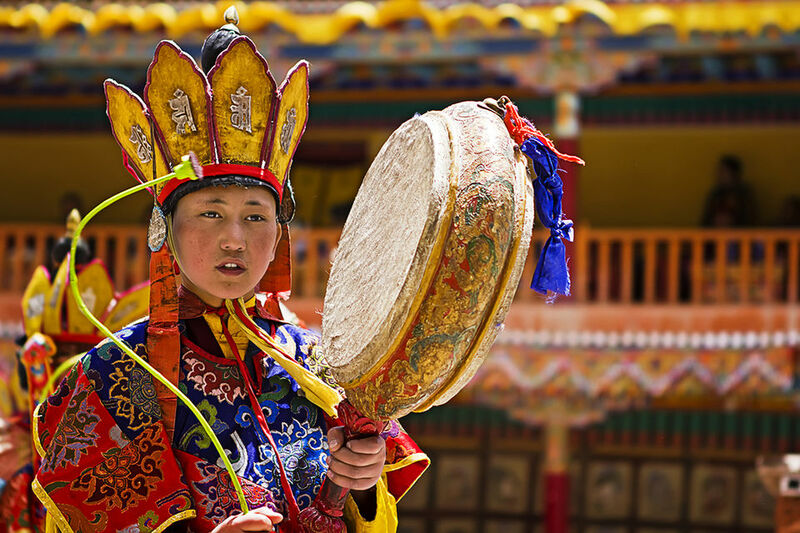 The Hemis Festival is something you should definitely experience once in your life. You will find yourself immersed in the beauty of this colourful festival, as it inflicts peace and joy to your soul. The otherwise quiet land comes alive during the festival. «Next Post Travelling changes your life to good – Here is how!